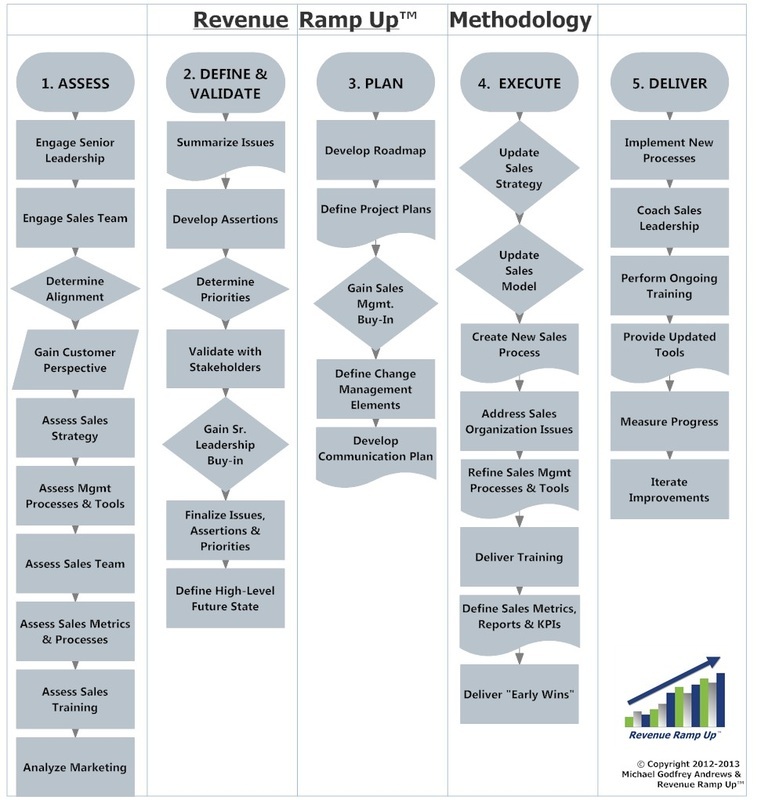 The Revenue Ramp Up Sales Growth Methodology articulates the inputs, processes and decisions necessary to diagnose issues, as well define and execute plans to drive sales. While this methodology may look complex and heavy, it actually enables the rapid understanding of the current situation in an organization and the definition of clear plans to resolve issues, put sales building blocks in place and execute to drive growth. It is the result of 24 years in sales: 9 years as a Client Manager at IBM and 15 years in sales leadership roles with start-up and growth stage technology companies.